During the commemoration events in St. Petersburg and Moscow from 3-7 November Mr. Kox (The Netherlands) participated among other events in the international forum of Left Forces « October 1917: Breakthrough towards Socialism » where he highlighted the binding European Convention on Human Rights and the European Social Charter. 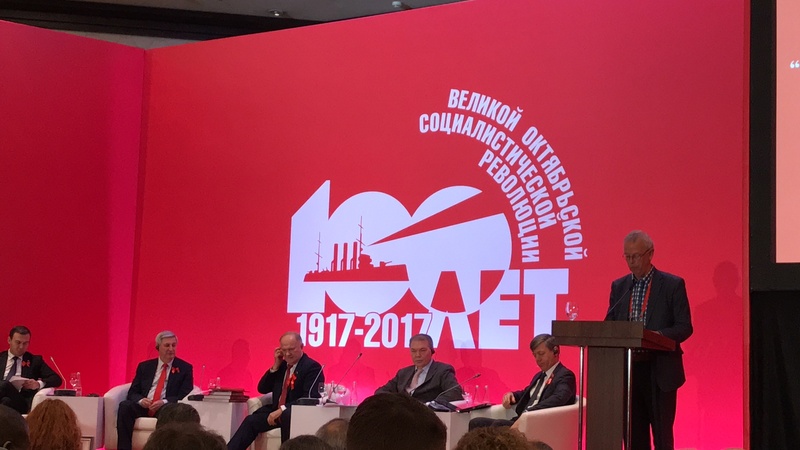 He stated that « hundred years after the Russian Revolution still a lot of work has to be done, here in Europe and elsewhere, in order to achieve human dignity for all, equality of all and solidarity between all. One of the instruments to be used is in my humble opinion the convention based system of the Council of Europe ». The two Conventions are namely two great post war pan-European conventions, which formulated for the first time in European history, in a binding way, the fundamental democratic and social rights and freedoms of 835 million European citizens. They are able to unite representatives from the 47 Council of European member States in order to foster and develop human rights, democracy and the rule of law by means of international dialogue. Mr. Kox emphasized the need for Left forces to be very vigilant as these fundamental rights and freedoms are under constant pressure of authoritarian governments, big multinationals, narrow minded nationalism and new forms of dangerous fascism.